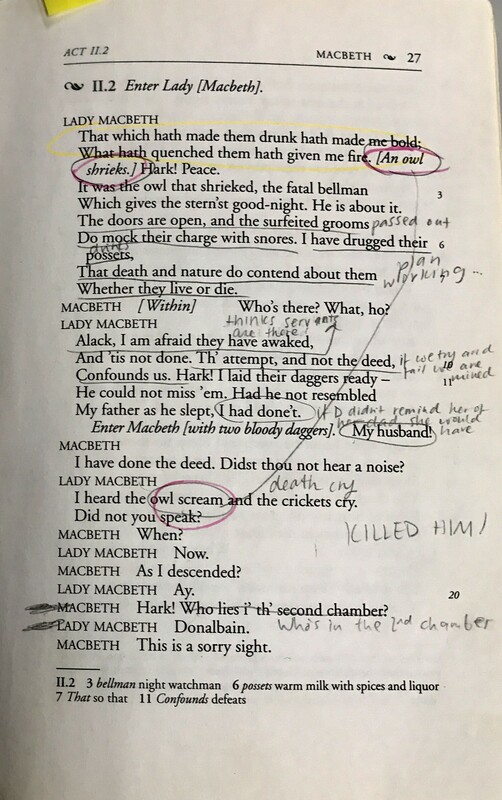 Annotation simply means taking reading notes directly on the text itself so that the notes and the text are in one place. What are the advantages of annotating? Use a pencil or pen plus highlighter. For a nonfiction text, underline or highlight main points and key terms. For a work of fiction, underline or highlight characterization, conflict development or resolution, and key images or passages that contribute to major themes. Write notes in the margins to identify what you're highlighting, ask questions, and make observations. Create your own marking system: stars for important moments, dollar signs for money problems, hearts for love problems, etc. Summarize briefly at the end of each chapter. If a teacher asks for a synopsis, you have one immediately on hand. Ask yourself a question at the end of each chapter. Use this as a way to prepare for class discussion. Inside the front and back covers of your book, keep a list of important details with page references.